On Tuesdays, I attend meetings at the headquarters of the Georgia Wing of the Civil Air Patrol (CAP), located at Dobbins Air Reserve Base. At nearly every meeting, I observe my commanders “pencil-whipping” member qualifications, organizing slander campaigns against anyone they perceive to be a threat, and using their financial control of the wing banker system to keep squadrons and members in line. I find these actions to be wholly incompatible with the CAP’s core values (integrity, excellence, respect, and volunteer service). This situation has been ongoing for over two years and it is very clear that neither the CAP’s national command, the CAP’s Board of Governors, and even CAP-USAF are interested in taking corrective action. Attached are formal disciplinary letters for current Georgia vice commander Lt Col Joe Knight, III, and current Georgia Wing operations officer Lt Col Brett Slagle. Also attached is a broadcast email to the wing’s unit commanders concerning Lt Col Knight. The final enclosure is an excerpt from CAP Report of Investigation 2013-SER-615 concerning then-Southeast Region commander Col Alvin Bedgood. The allegation that Lt Col Knight ordered a CAP member to a closed-door meeting in an attempt to intimidate the member into stopping documentation of regulatory and safety violations was substantiated. The Inspector General found a substantial number of facts or amount of information supporting the allegation. 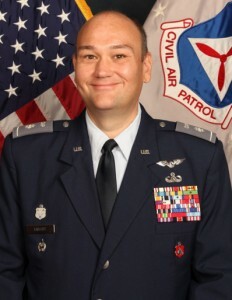 The allegations that Lt Col Slagle conducted reprisal activities against a member for working the correct process within the legal chain of command, and for grounding pilots (by illegal ‘operations chain of command’ authority) without following required procedure or due process were also substantiated. The Inspector General found a substantial number of facts or amount of information supporting these allegations. The Report of Investigation (ROI) charges Col Bedgood with failure to respond to formal requests for information from the Inspector General, and for allegedly tampering with an ongoing IG investigation by providing specific details of the investigation to Lt Col Knight so as to compromise and impede the investigation. ‘Failure to respond with truthful and complete information or any action to impede the process of the IG investigation in any way is a direct violation of CAP regulations subject to disciplinary action up to and including membership termination, as permitted under CAPR 35-3, Membership Termination. Lt Col Knight received a minimum penalty, a 30-day membership suspension, after which he immediately resumed his duties as the wing’s vice commander. Lt Col Slagle received no suspension, but was restricted from serving as a CAP operations officer, STAN/EVAL officer, or emergency services officer for a period of one year. Slagle was reappointed as the wing’s operations officer after the restriction expired. No action was taken by CAP national command against Col Bedgood. All this was concealed from the CAP membership. As you can see from Col Greenwood’s email, he intentionally misled the Georgia Wing’s unit commanders regarding the reason for Lt Col Knight’s absence from duty, implying that Lt Col Knight had been working so hard for the CAP that he was taking ‘well-deserved time off’ from his duties. Meanwhile, the Inspector General who authored the report was driven out of the CAP, and the home squadron of the member who was threatened for documenting safety violations was reprised against and permanently shut down. NOTF readers will recall that the Georgia Wing is the same headquarters which unceremoniously “drummed” Lt Col Mark Hess out of the CAP. The supporting documents pertaining to this case are attached to this issue. “Sir, In regard to your article of 26 Aug as it relates to the GA Wing of the Civil Air Patrol, I am not sure if you are interested in reporting both sides of those events but I will present them here for you. As a current GA Wing member I should like to point out several inconsistencies and errors related to the information that was presented to you. First, the current GA Wing command staff takes great pains to ensure that they only approve and allow member qualifications that are done fully and completely in accordance with all CAP regulations and procedures. This tells me that from the very start of that email, the person telling you this is not being truthful as they could not be attending Wing staff meetings and seeing this type of behavior. It is not happening. Furthermore, approvals and disapproval’s of qualifications are not done in a public setting, not usually done during open Wing meetings and usually are done by staff members designated to approve or disapprove these qualifications. Second, the events that are being relayed in that email happened back in 2013. They are over two years old and are in no way indicative of the current climate and culture of the GA Wing. Since then the IG member that did these investigations has left CAP. They were not run out as stated in the email, but they left. The most probable explanation of their leaving has to do with the fact that their conclusions were later found to be incorrect, not factual and that they were themselves subject to an IG Investigation where their conduct during these investigation was rumored to have been found to be inconsistent and in violation with CAP standards, CAP regs and the IG process in general. Where was that in the email that was sent to you? I find it very interesting that you were furnished a copy of parts of the ROI as those documents are required to be kept secure and confidential. Releasing that information is a violation of the very same regulations that they are complaining so loudly that others are violating. Nothing like a convenient double standard is there? There is only a small number of individuals that would have access to that document allowing for a simple deductive process to get to the members that are involved in this attempt to slander the current GA Wing commander and other members of the GA Wing staff with a retelling of a two year old fairy tale. During the period that all this was supposed to have taken place, there was a very small number of individuals that were well insulated, well protected and were allowed to create havoc among the entire GA Wing. Previous Are Georgia Wing Pilots a Menace?